Syntax highlighting with highlight.js for Vue.js 2.x. 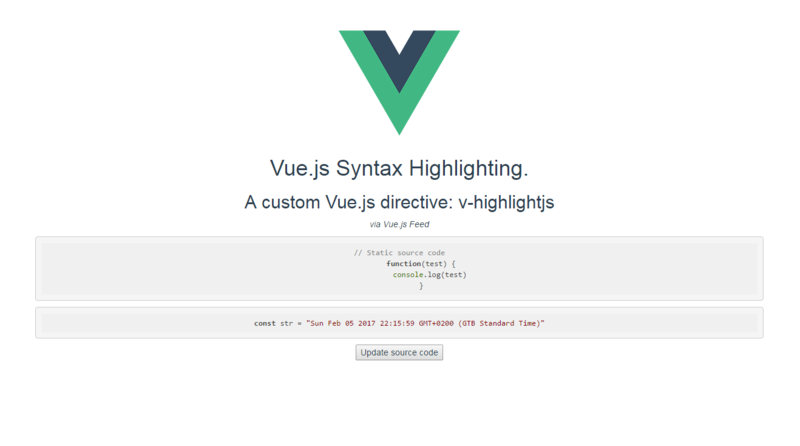 See how to use highlight.js for syntax highlighting in a Vue application, using a simple v-highlightjs directive. // instead of the element content. You can also use the npm package vue-highlightjs instead of declaring the directive manually.